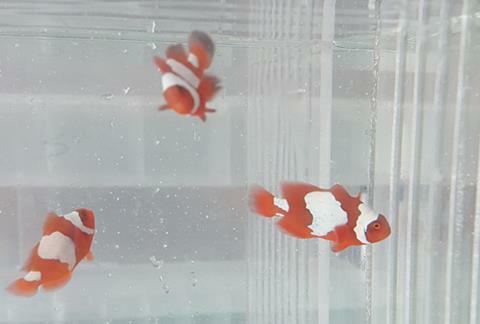 Proaquatix, ornamental fish breeder extraordinaire, located in Vero, Florida has just released a new designer clownfish. 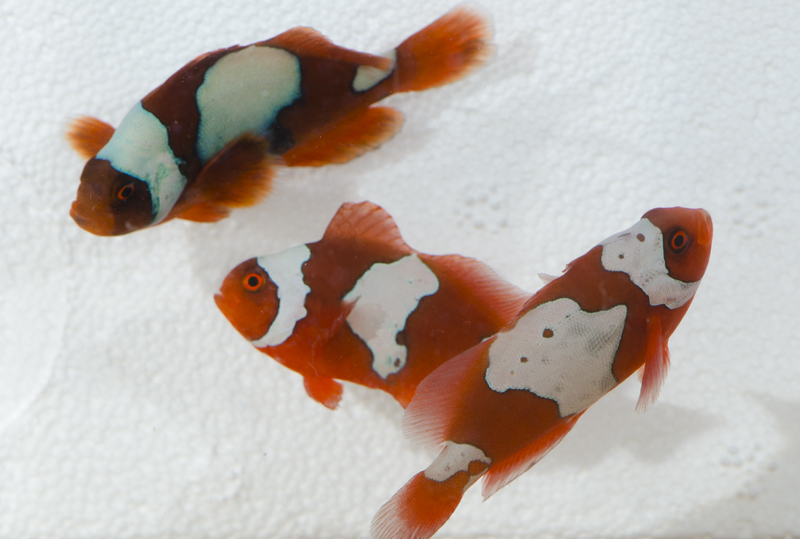 These Snowflake Maroon clownfish (Premnas biaculeatus) exhibit a snowflake pattern commonly found in designer Amphiprion ocellaris clownfish. Please note that Proaquatix does not sell to the general public. If your looking for one of these little gems, then reach out to the team at Proaquatix to locate stores that are ordering these fish for resale. No word on what the street price on these fish will be but we expect them to be listed above $120.00 per fish. By providing an alternative to wild-caught fish, Proaquatix is reducing human impact on ocean reef ecosystems, thus supporting reef conservation and the future of marine aquarium keeping. 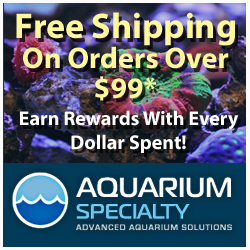 Proaquatix only sells captive bred fish. All of their fish are hand selected and graded to ensure customers receive only the highest quality fish with the best mortality rates. Proaquatix guarantees that all fish are healthy and 100% deformity free. I’ve ordered from Seth several times over the past 5+ years and I’ve never been disappointed with the quality and health of his fish. To see a complete list of clownfish, blennies, basslets, gobies and gamefish that they bred then checkout the Proaquatix website. The snowflake maroon is a White Stripe Maroon. It’s their best guess that the fish are offspring from either a lightning x white stripe maroon or a lightning x lightning. We don’t keep track of exactly which fish come from which pair. Proaquatix co-mingles many different spawns and they raise them together. Seth and his team just started seeing this strain pop up in grow-out this summer. Production is limited and supply is low so keep that in mind if you are trying to find these fish. 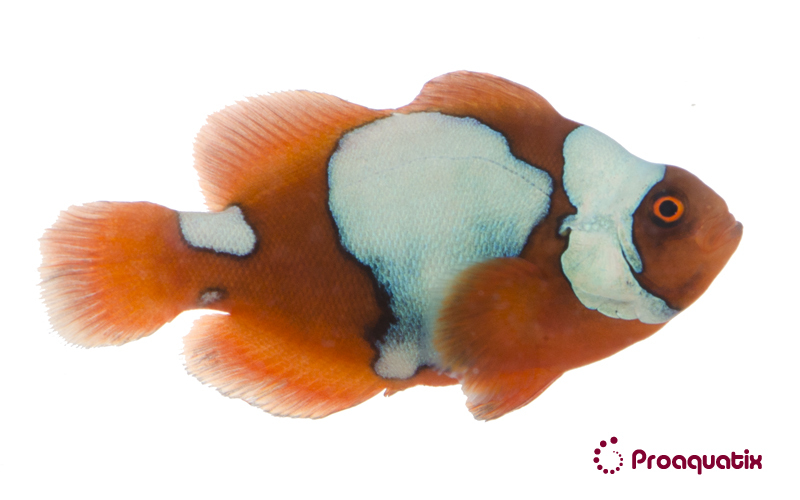 No noticeable behavioral or biological differences have been observed between this maroon variant and other variants. Proaquatix confidentially states that they are 100% white stripe. This is because they don’t have any hybrid pairs in brood stock. One other item of interest is that they tend to produce a lot of the sought after blue pigmentation/iridescence. The larger individuals start showing the blue coloration after they reach 1.5 inches. Like all white stripe maroon varieties, they are slow growing in the hatchery. It can take 4 or 5 months for them to reach market size. However, their growth rates tend to speed up (or at least compared to Ocellaris/Percula varieties) later in their life, when they have reached 1.5 inches or so. Although aggression is always a concern, we keep our maroons together in 200 gallon tanks. Surprisingly, we can keep 1500 maroons together in a 200 gallon tank without significant aggression. However, 15 maroons in the same tank would surely fight.